The early morning sun was rising over the mountains to the east as I strapped on my helmet and worked my fingers into my leather gloves. My breath hung like smoke in the cool morning air when I yelled over to see if Janet was ready. She zipped her jacket, checked her gear and then gave me the 'thumbs up' signal. Simultaneously, our motorcycle engines roared to life. 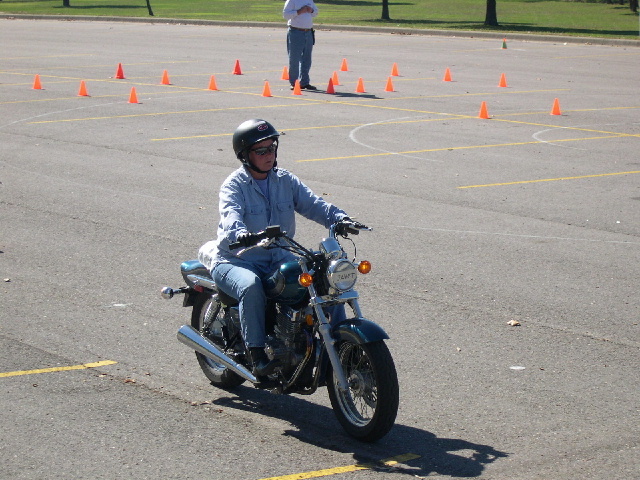 Janet nodded for me to lead, so I pulled in the clutch, dropped it into first gear, and felt the gears catch as I let out the clutch and rolled on the throttle. Janet was close behind. The air stung my cheeks as the bike picked up speed. 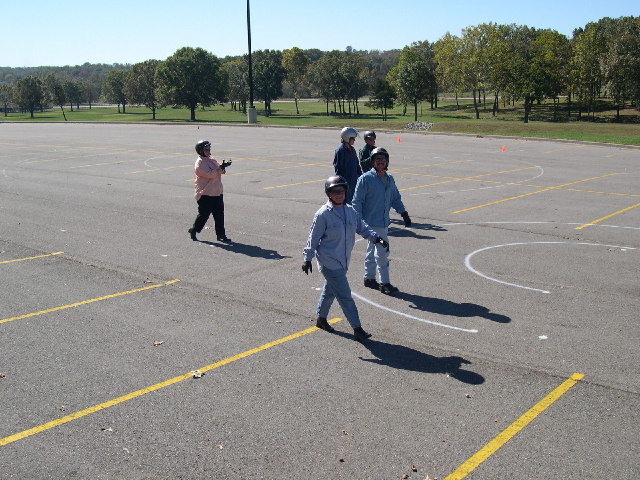 I slowed, selected my line of entry, and then rolled on the throttle, counter-steering my way through the first corner. I wasn't surprised to see myself smiling in the rear-view mirrors as I accelerated out of the turn, looking back to check on Janet. Why shouldn't I be smiling, I thought; this was a perfect day for a ride. Catching the sun spotlighting the fall foliage on the distant mountains, my mind wandered to the cross-country ride ahead of us. I was really in the zone, with the wind blowing through my hair, the ground racing by, and the bike reacting swiftly to my every move. 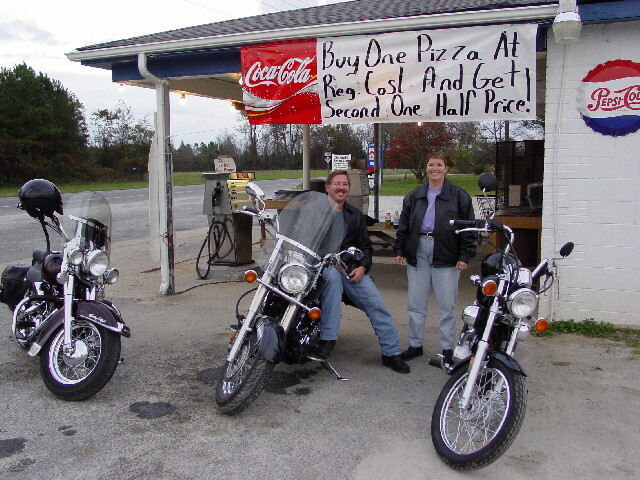 I knew - right then and there - that Janet and I were meant to make this ride for charity. 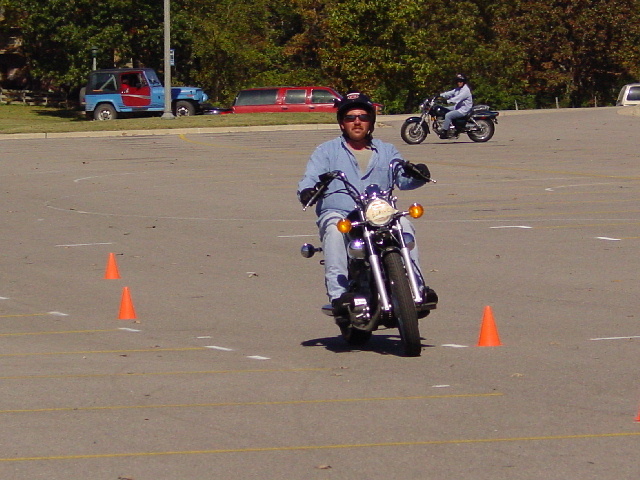 But for now, I'd have to be satisfied with going around and around in a parking lot at a top speed of 15 mph - never getting out of second gear - and trying to avoid little orange cones on the beginner's motorcycle safety course. 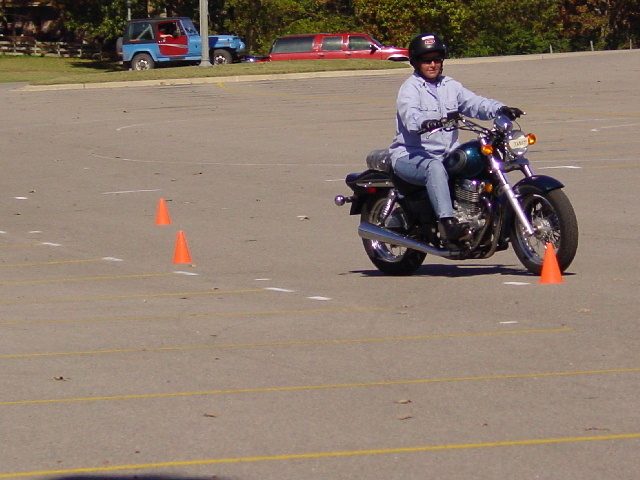 Okay, so it was our first day at the beginner's motorcycle safety course and the bike was only a Yamaha Virago 250; everyone has to start somewhere. 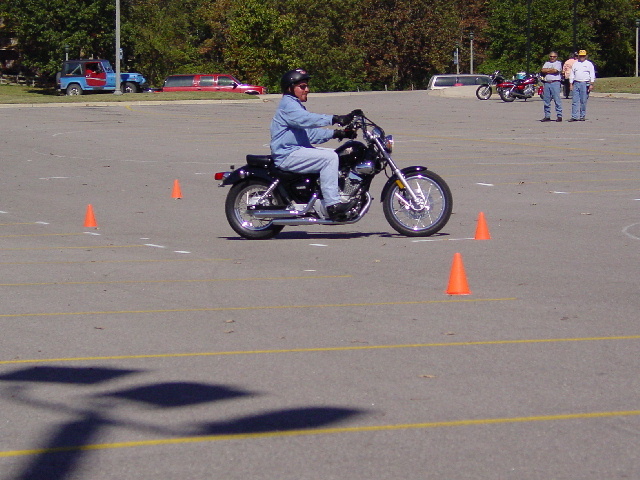 We started at a weekend course offered by the Motorcycle Safety Foundation while visiting Janet's brother and sister-in-law who live in Arkansas. 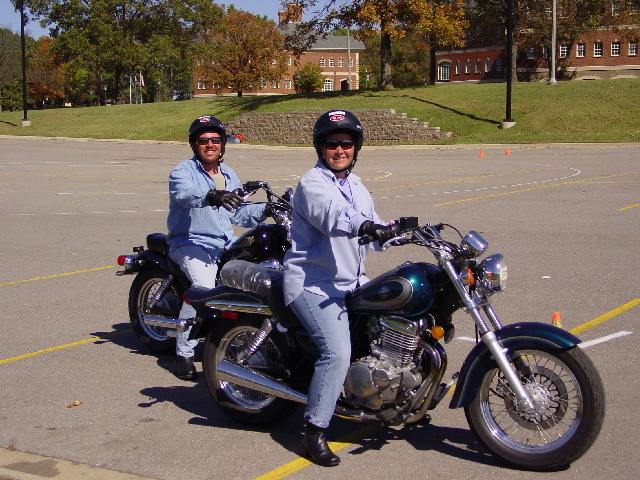 After two full days of riding in circles, swerving through cones, making emergency stops and getting perfect scores on the written exam, Janet and I received our certificates of completion. More importantly - nobody died. 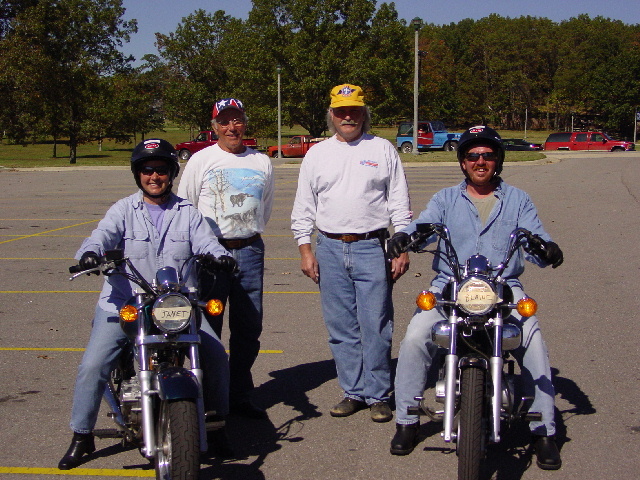 A cross-country motorcycle ride might seem frivolous or foolhardy when the riders have no previous riding experience. We'd agree. 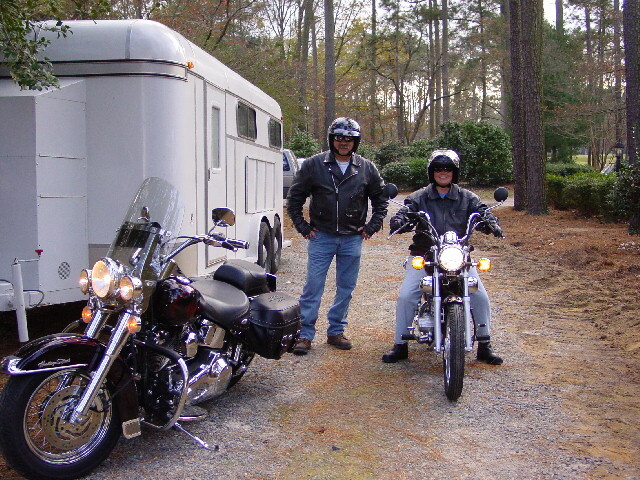 That's the reason we completed the basic rider's course and are continuing to practice our skills on smaller bikes throughout the winter, working our way up to the larger Harley Davidson Electra Glide Ultra Classics with sidecars before our departure in April 2004. Between all the riding practice, there are a million other things to do as we prepare for this adventure. 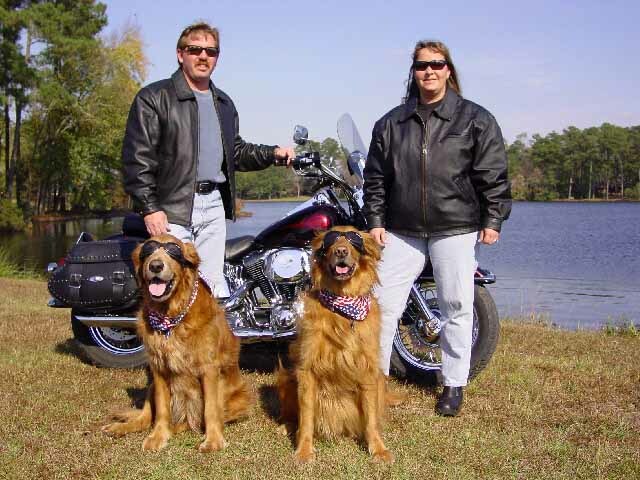 From building the Hogs For Dogs website to filing our not-for-profit incorporation paperwork, training our dogs to ride in sidecars and working with our charity partners, this is a much larger endeavor than we ever imagined. But the more we learn about the service dog industry and the profound impact these remarkable dogs have on the lives of people suffering from sight, hearing or mobility impairments, the more determined and excited we become about the ride. I'll admit that the warmth of the morning sun on our faces as we wind through the back roads of America is bound to be a spectacular sensation. I'm also sure that sitting atop the Grand Canyon and looking into its depths for the first time will be a moving experience we will relish for the rest of our lives. And having the opportunity to interact with so many good-hearted people throughout our journey is guaranteed to put smiles on our faces that won't soon disappear. But our smiles will be dim in comparison to the smiles on the faces of those individuals who will have been partnered with a service dog because of our efforts and your generosity. After all, that's what this ride is about: helping others. We're glad you've stopped by at the beginning of our journey and hope you'll stay with us for the duration. 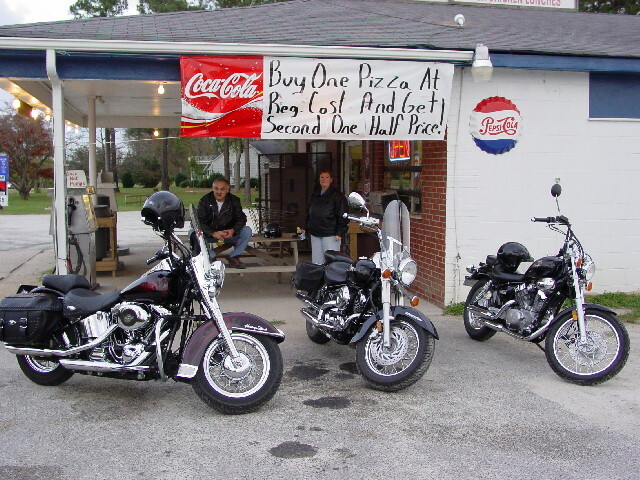 Check back with us from time to time for future updates and help us spread the word about the Hogs For Dogs Charity Ride.